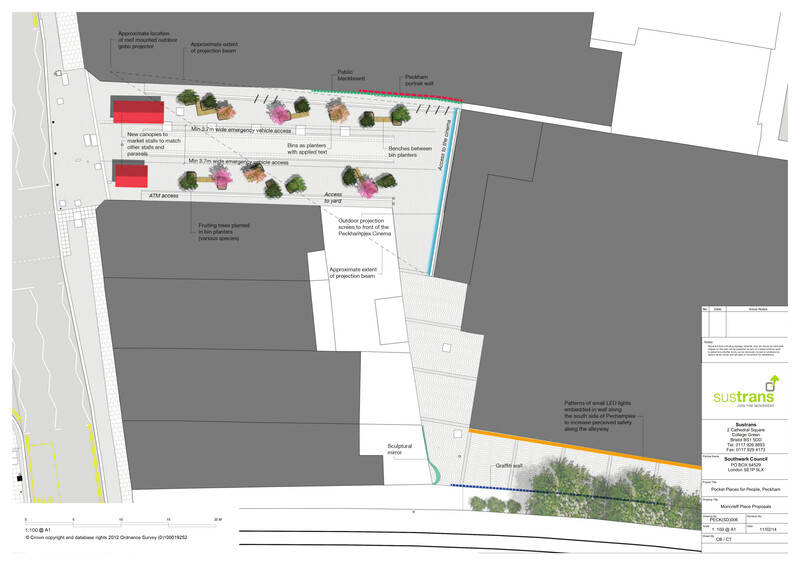 The 2nd draft drawings are finally here and show in detail the latest proposals for Pocket Places Peckham. We will be creating temporary versions of these ideas to test how sucessful they are in the space between March and June this year. 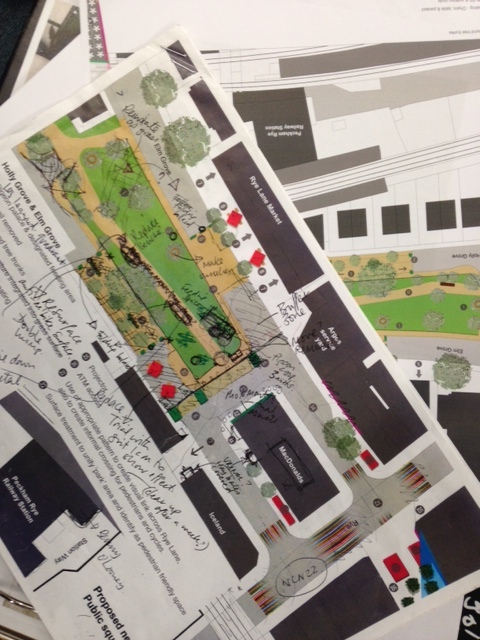 Since the first plans came out in October the project team have been busy talking to lots of council departments to check the feasibility of the ideas, originally developed by our Community Urban Designers who attended the workshops last summer. We have spoken to the Parks team; Cleansing; Highways; Planning; Lighting; Housing; Tree Services; Permits; Garages; Arts and Culture; and loads more besides! 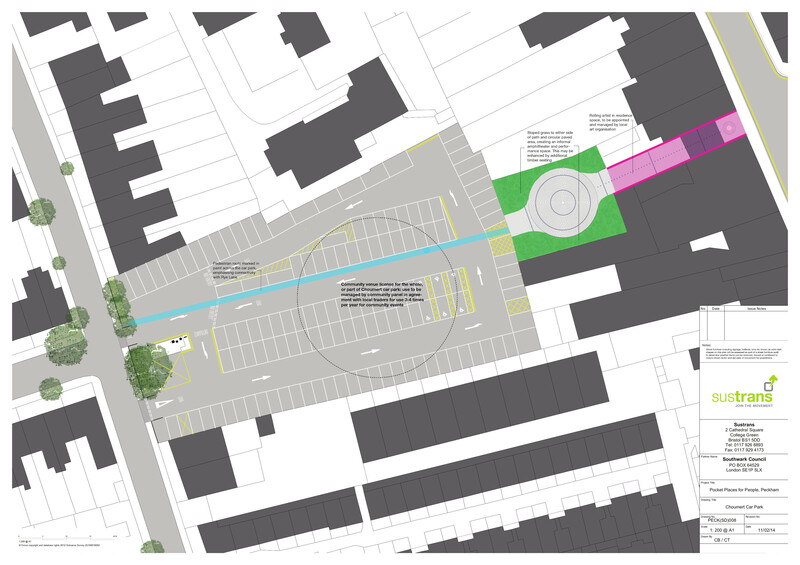 Some of you will remember the Pockets Walkabout event which helped people to understand the first draft plans in the actual space, we also spoke to the Rye Lane Traders Association, as well as some of the charities that operate in the area. We’ve started to work directly with the residents who live near the Pockets and at Holly Grove we have already developed the plan further with local residents to great success. 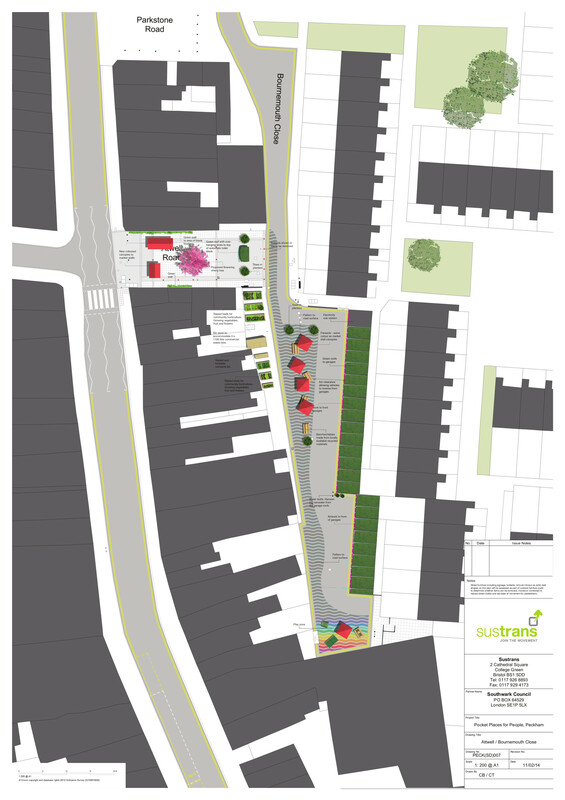 We are currently working to get to know residents and businesses living and working near to Bournemouth Close and we are planning get-togethers for residents and businesses living and working close to Choumert Grove Car Park. 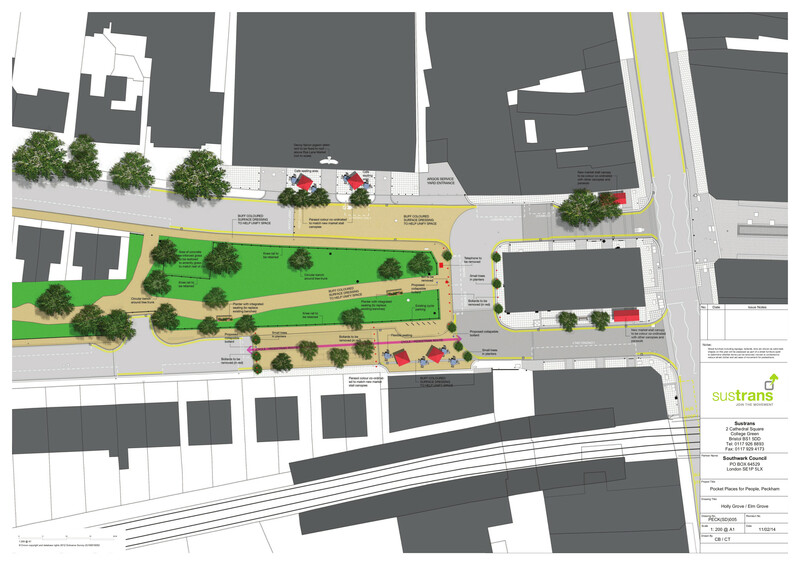 In the meantime, please click on the images below to enlarge them and take a good look at these plans. If there is anything you would like to comment on please do so in the comments box below or email me hannah.padgett@sustrans.org.uk. Your comments will be taken in to consideration when planning the temporary trials of the ideas and there will be further opportunity to give us feedback at events while the trials are in place.